ESO Supernova Exhibition — What is the story of the Sun’s life? 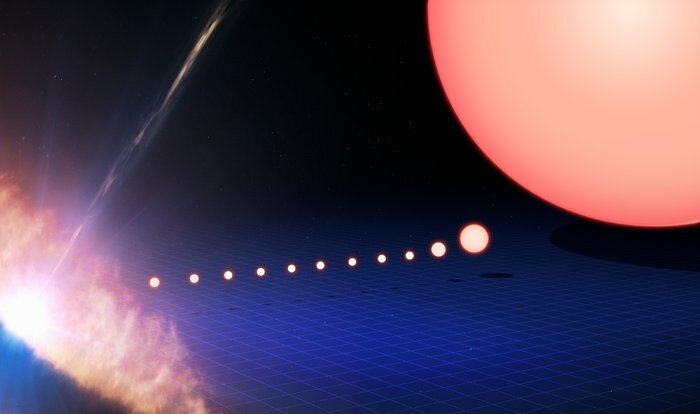 What is the story of the Sun’s life? Nothing appears to be as reliable as the Sun. But it hasn’t always been there, and one day it will cease to exist. Born from clouds of gas and dust, it will eventually end up as a dying stellar cinder. 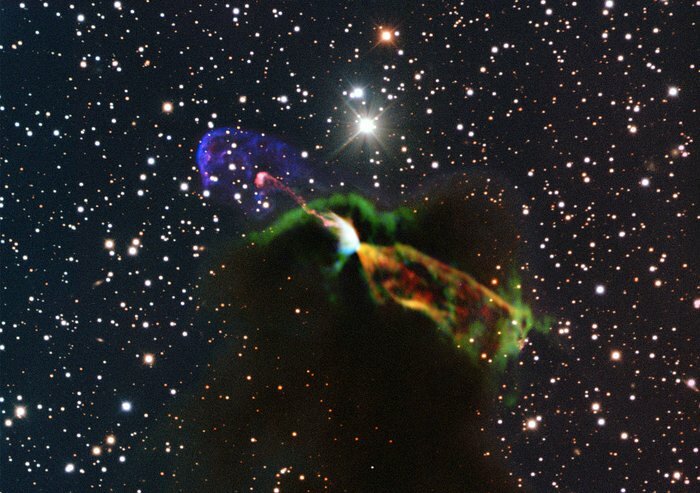 Birth cry: Jets of matter are blown into space by a baby star, still hidden in its cocoon of gas and dust. 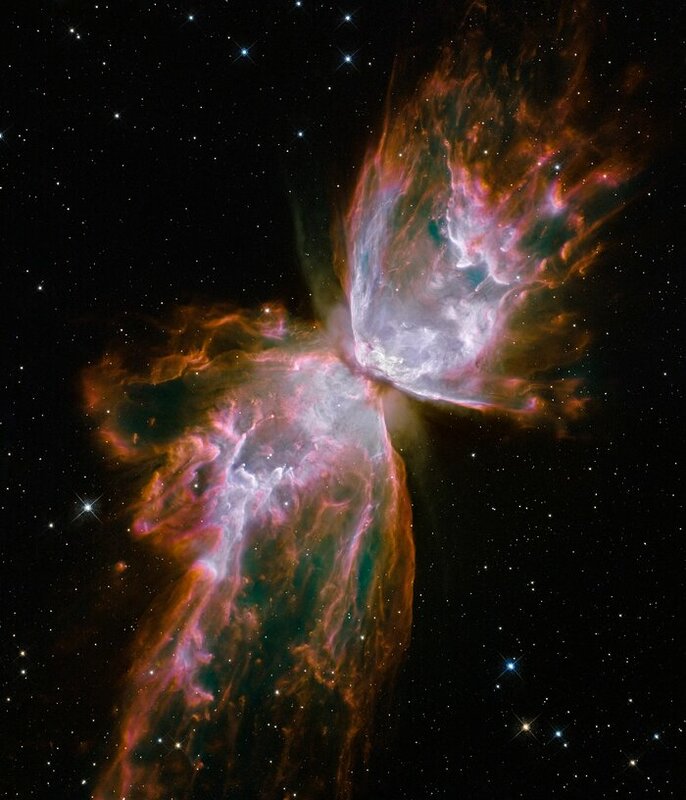 Wispy wings: A dying, sun-like star blows its outer layers into space, creating this planetary nebula known as the Butterfly Nebula. Like all other stars, the Sun is a massive ball of glowing gas. Some 4.6 billion years ago, it grew out of a contracting cloud of gas and dust that heated up as it became ever more dense. In the distant future, the Sun will grow larger and brighter. The inner planets — Mercury and Venus — will be swallowed by its outer layers. Earth will be roasted; its oceans will boil away. After shedding its outer layers in a colourful planetary nebula, the Sun will end its days some five billion years from now as a white dwarf star that slowly cools. 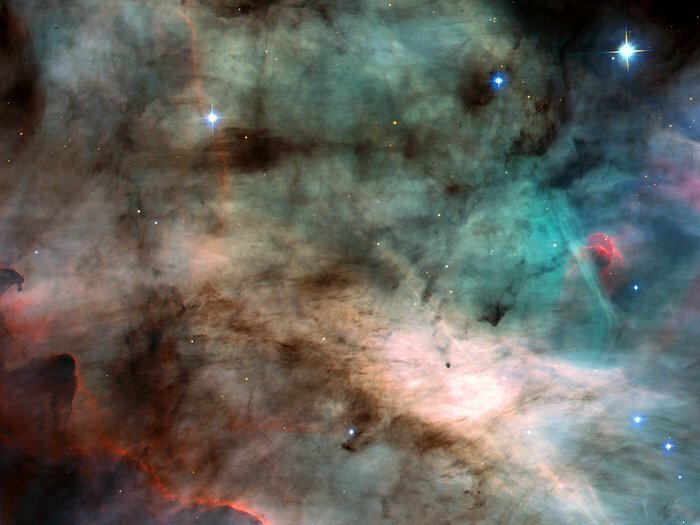 Hatching planets: Newborn stars in the Orion Nebula are surrounded by dusty discs from which planets may form. Our Solar System may have looked similar in its early days. Growing sun: Over the next billions of years, the Sun will slowly grow, until it sheds its outer layers in an expanding planetary nebula. You were born as a baby, and someday you will die as an old person. The same is true for the Sun: it won’t live forever. But while most people die before they are 100 years old, the Sun will live to an age of 10 billion years!